Kollam (aka Quilon), once a port of choice for many sea traders, has again become a destination of choice - this time for holiday makers. Lazing around the coconut coast of Kollam has never been this popular. It happened ever since tourists discovered regional backwaters as quieter alternative to the crowded waterways elsewhere. The sprawling town at the curvy banks of Ashtamudi Lake, the southern backwater gateway of Kerala, has enough in store for a short getaway. 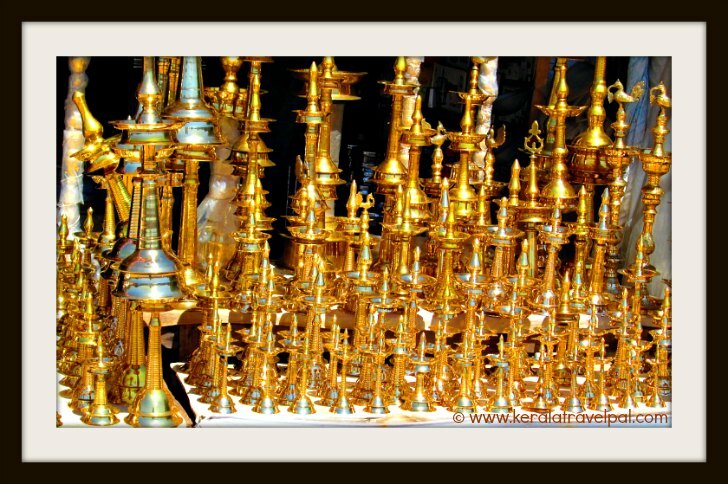 And the town fits in to a wider district of Kollam, where sightseeing can amount to a few days of fascination. You will have to be ready for fair bit of travel since many of the attractions are in the eastern border where the hills and forests are. Kollam district lies in between Trivandrum and Alappuzha. That makes it a convenient spot to include in South Kerala travel plans. The beach town of Varkala, one of the busy tourist spots, is just 31 kms away. So Varkala visits often get combined with Kollam sightseeing. Arabian Sea coast at west is a prominent fishing belt. The eastern hilly precinct leads to Pathanamthitta and Tamil Nadu. The major retail hub as well as the district admin centre is Kollam town. Karunagapally, Chathannoor, and Kottarakkara are the other notable towns. Talking about Kollam is incomplete without a mention about the local cashew industry. Of everything local, cashew is the king. Backwater trips often top the list of a quick tour in and around town. Eight branched Ashtamudi Lake is the mother of all water webs. Taking up just about one third of the entire district, it creates a water paradise along palm lined shores. Well, if you think that is good enough, there is plenty more. Sasthamkotta, Paravoor, Alumkadavu and Munore Island feature remarkable waterscapes. A great choice for those who prefer to get away from the crowds is the small town of Sasthamkotta. 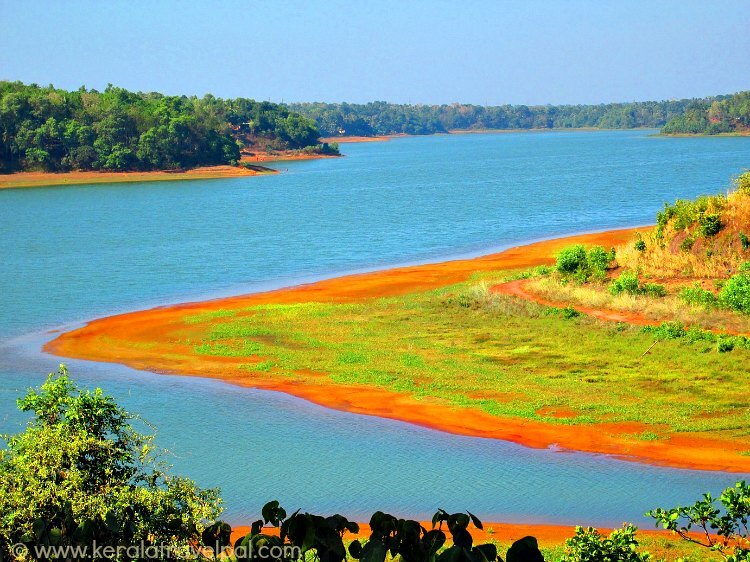 Sasthamkotta Lake, an independent water body of this inland, is very scenic yet with very few tourists around. Sastha Temple in town is a quite famous shrine. Hundreds monkeys always roaming in its courtyard makes it a place to stop by. The tiny land strip of Paravur appears as nature’s answer to water themed holidays. Backwaters and sea with sandy land sandwiched in between is a display of brilliance. And it leads to an estuary that is beyond words. Munore Island is an upcoming tourism story. Created by lake, river and many canals, the Island is a bird haven. Simple and unrushed life of Munroe village gets on by doing something very traditional – coir making. It is 27 kms from Quilon town. Do you want to see how house boats are build? Travel along Alleppy highway to Alumkadavu, 28 kms from town. The hamlet by the side of Vembanad Lake specialises in constructing monster houseboats. Houseboats to Alappuzha are available for those who are greatly fond of backwater rides. There is plenty of time to relax on board, as the journey takes eight hours. Check before you book, about boats sizes and so on. Small bridges along the way can be a limiting factor for those who intend double decked house boats. Thangasseri, Thirumullavaram and M.G beach are all conveniently located in and around town. They are all great for short visits. If beach is one of your top priorities, Varkala is a better choice for refreshing beach holidays. Adventure Park, ashramam tourist village and Thangasseri are attractions in town. Out of town, there is plenty to explore. Amritapuri, Thenmala, Palaruvi falls, Jatayu Rock, Ochira, Rameshwar Temple, Mayyanad, Kottukal Rock Cut Temple, Paravur Elephant Rides, Puthenkulam Elephant Village and Shendurney Wildlife Sanctuary – there is enough to keep curious souls busy. Amritapuri is interesting and unique. It is the Ashram of Mata Amritanandamayi. Fondly called Amma (mother), she is one of the well known saints in India. Anticipation of divine love leads people to the adobe of the hugging saint. Amritanandamayi Ashram is located at Vallikkunnu, 31 kms from Quilon town. It is India’s first eco-tourism project. World Tourism Organisation praises it as one of the best eco-friendly projects on the planet. Thenmala, 66 kms from Kollam town, skillfully uses the resources of Chendrunni Wildlife Sanctuary. The outcome is fun filled broad ranged experiences with a touch of wildlife and a twist of learning. Set amidst a green landscape of forests, tea gardens and rubber plantations, Thenmala presents itself with three distinct zones. Leisure, culture and adventure zones are designed to engage and entertain. To make things even better, there is a dam just nearby. Thenmala experience is so comprehensive that boating in the reservoir is just a tiny part of it. Treks, mountaineering, biking, bird watching.......the list goes on. 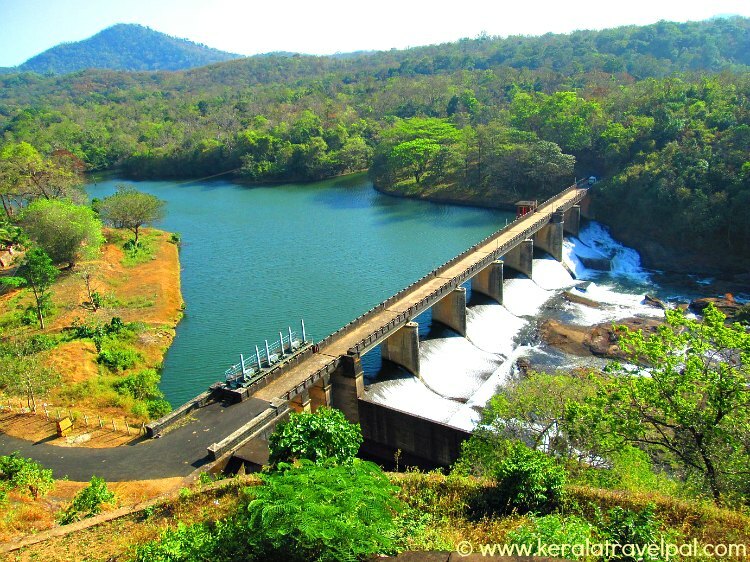 Visiting www.thenmalaecotourism.org may be helpful in case you are planning a trip to Thenmala. Palaruvi is one of the prominent waterfalls in Kerala. Its water is considered to have medicinal properties. For that reason, the waterfall is popular with locals. The best time to visit Palaruvi is Monsoon and post monsoon as water dries up during peak summer. Palaruvi waterfall is located 66 kms from Quilon town on Sheknkotta Road, not too far from Thenmala Eco-tourism Project.